Gregoria Cruz does not collect the garbage, she recycles. 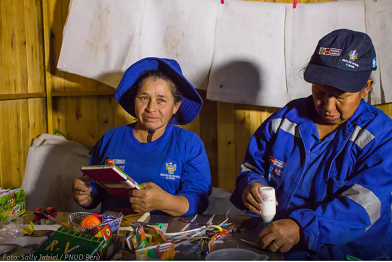 Today, many women, just like Gregoria, have abandoned the dumps in Arequipa to become promoters of a recycling culture and thus show that there are also opportunities for sustainable development in waste. 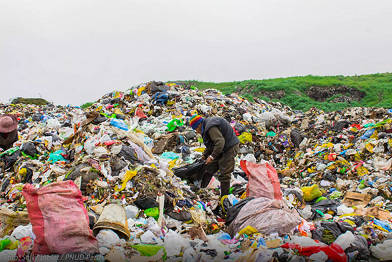 A few meters from a pig farm, there is a huge mountain of garbage that emits a stench so intense that gets blown away way beyond El Cebollar, one of the dumps that still exist in Arequipa. For more than 15 years, Gregoria's life evolved between everything that the city discarded and that others recovered in order to live. Many female recyclers tolerated violence in and outside their homes. Therefore, their empowerment has been a priority. 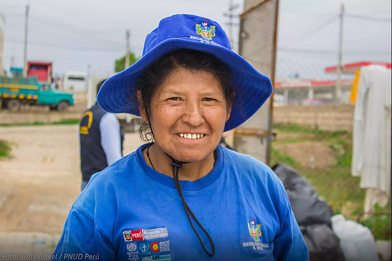 Today at age 49, Gregoria works as a formal recycler in Recicla Vida, one of the associations strengthened by the Poverty and Environment Initiative in Peru. And it is not just a politically correct definition. 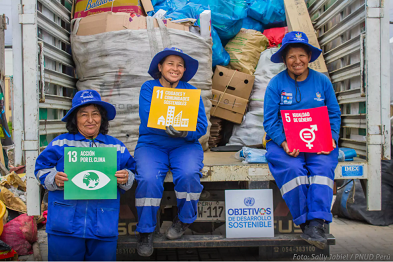 It was from this experience of UNDP, UN Environment, UN Volunteers, the Ministry of the Environment and the Provincial Municipality of Arequipa that her work, and that of other female recyclers, has changed completely. For those who worked for years in extreme conditions, the change means to be visible again in a city where they used to exist just from the garbage. Now Gregoria is an agent of change. 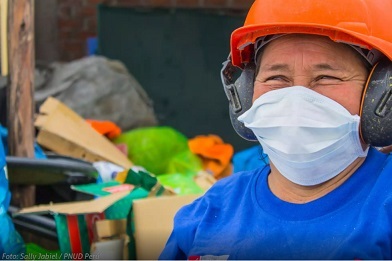 With the association, she spends some hours per day knocking on the doors of houses and businesses committed to recycling, she wears a blue uniform and handles separated waste, without food or other organic waste. She spends the rest of the day doing crafts with plastic bottles, cartons and papers collected. 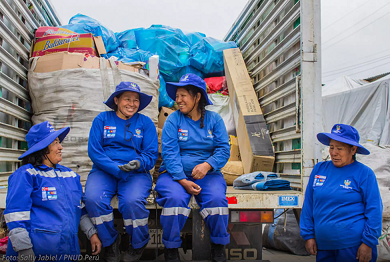 Gregoria's dream, after buying her own truck, is to be able to dedicate herself completely to giving waste a second life. 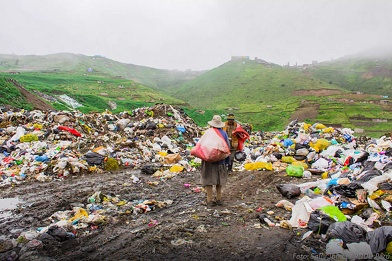 For the first time, Peru has assumed a National Solid Waste Plan with a social perspective. More than a plan for proper waste management, it is an important advance for an inclusive solid waste management that recognizes the work of male and female recyclers. However, the biggest challenge faced by the country is still to sensitize its citizens. As Graciela Mamani, another female recycler of the association asserts, many people still do not understand their work and prefer waste to go to the dump. Even with this great challenge ahead, these female recyclers are sure that not recycling the waste would be a real misuse.